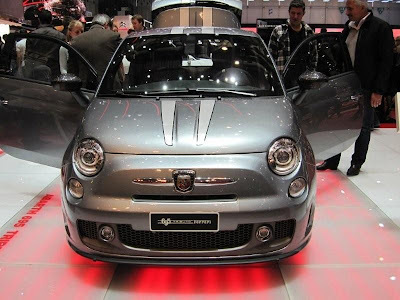 Earlier this month, at the Geneva Motor Show, Abarth displayed two new colors for the Abarth 695 “Tributo Ferrari”. 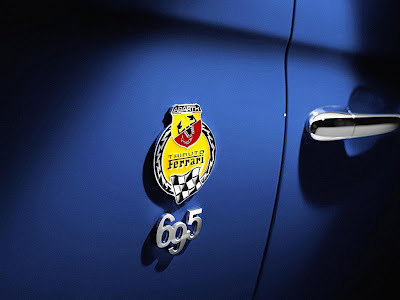 The colors, Abu Dhabi Blue and Titanium Grey, join the yellow - Giallo Modena and traditional Ferrari red- Rosso Corso. 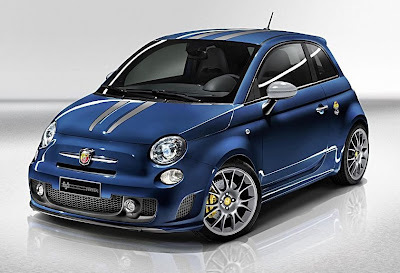 venture between Abarth and Ferrari, based on shared values that include a passion for performance, a racing soul, attention to detail and Italian style. 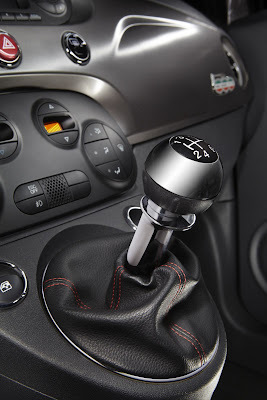 Over the last two years, both brands have worked even more closely together, which has led to the development of the Abarth 695 Tributo Ferrari, an exclusive car that on the one hand allows Abarth to expand its range, thus entering the luxury sports car segment, and on the other offers Ferrari customers a small, lively car for all mobility requirements, including practical and urban mobility. This numbered and limited special series has been marketed from July and has already notched up more than 1000 orders; more than half of which are from countries such as United Kingdom, France, Germany and Japan. 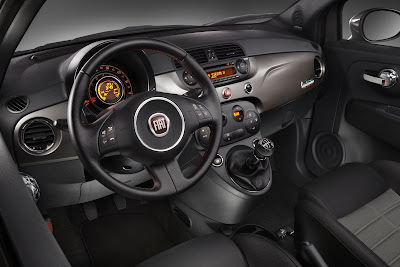 It is easy to see the Fiat 500 is a great looking car on the outside, but, as they say, it is what is inside that counts, and the 500 also has that covered. 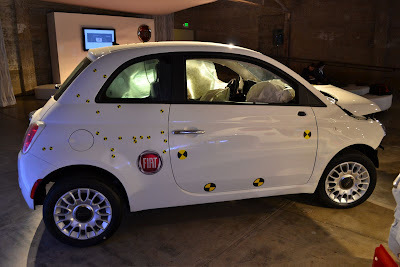 In Europe, the Fiat 500 was the first car in its class to achieve a five-star crash rating by Euro NCAP, Europe's crash testing organization. 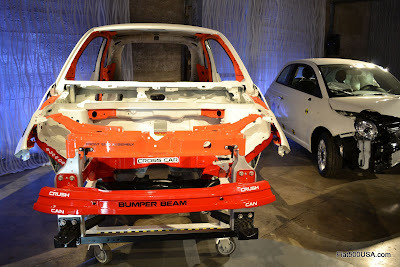 The North American Fiat 500's chassis has been significantly upgraded and strengthened compared with its European cousin. The US car has not been rated, but with all the reinforcements and improvements, it is expected to do quite well. 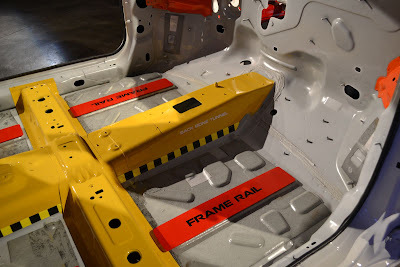 Here are some pictures of the reinforcements and structural elements of the US 500. 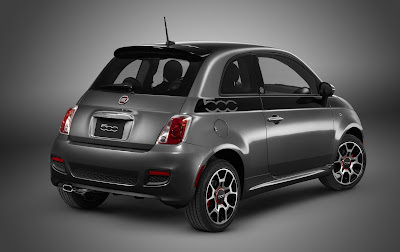 Beauty is more than skin deep when it comes to the Fiat 500. Significant reinforcements under the skin. 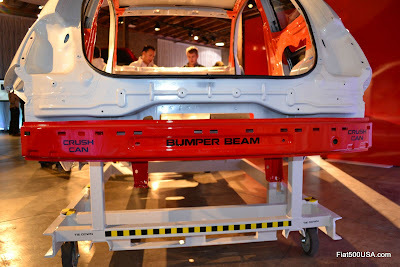 The floor pan of the Fiat 500 features this prominent center tunnel and cross brace. 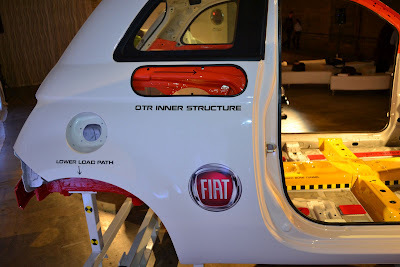 The floor tunnel is a significant source of strength to the Fiat 500. 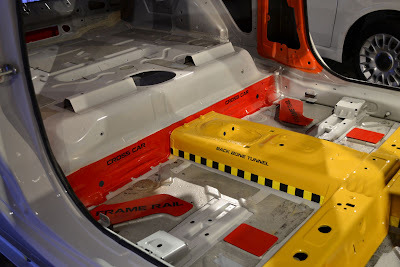 The large brace that crosses the car under the seats contributes to side impact safety. Part of the safety cage construction. 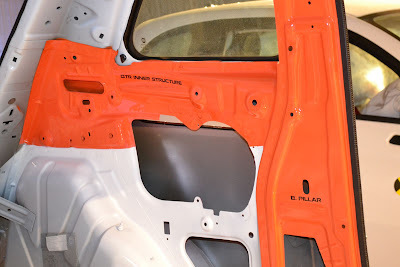 The Fiat 500 has a rigid passenger compartment, with energy absorbing front and rear sections. 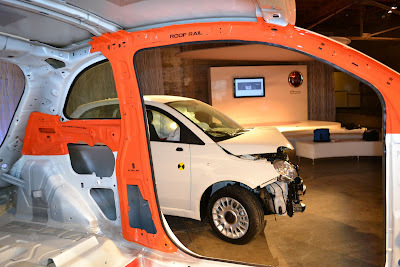 The roof reinforcements of the Fiat 500. 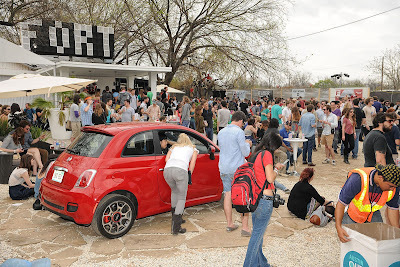 The Fiat 500 has energy absorbing 2½ mph bumpers front and rear. 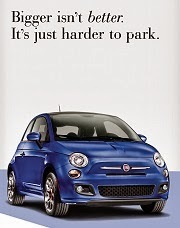 The Fiat 500 is built on the concept of controlled collapsibility. 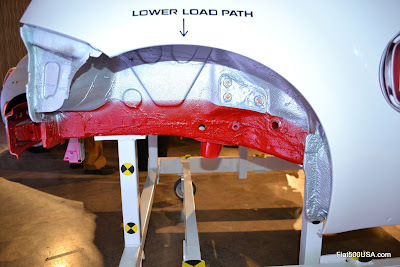 The softer outer sections of the car absorb the energy of a collision. Note the third load path. 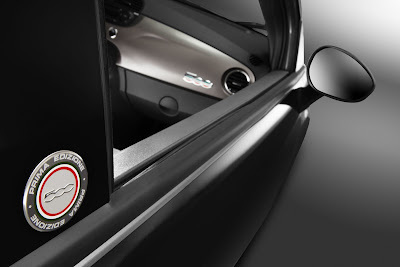 This was added to the North American Fiat 500 and is not featured on the European Fiat 500. It is one of the updates the 500 received for our market. 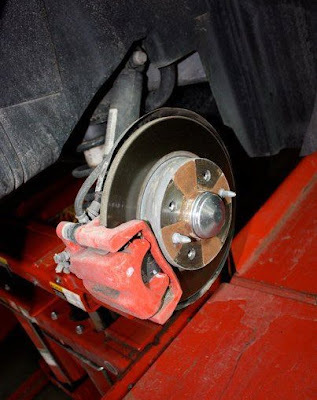 It is also the reason the NAFTA 500 has a five speed and not the six speed offered in Europe. 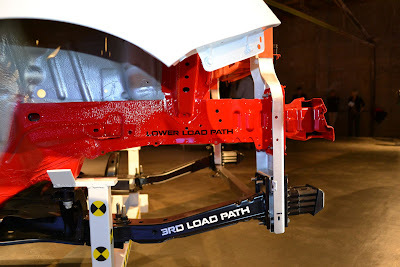 It was a safety trade-off as the additional load path takes up the added space the six speed requires. 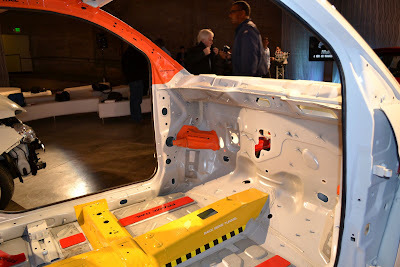 slowing the deceleration forces so, by the time they reach the passengers, they are in a manageable range, and the seat belts/air bags can be effective. 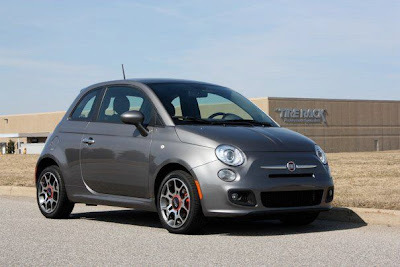 This US spec Fiat 500 has undergone a 40mph offset front impact. The outer area absorbed the impact. 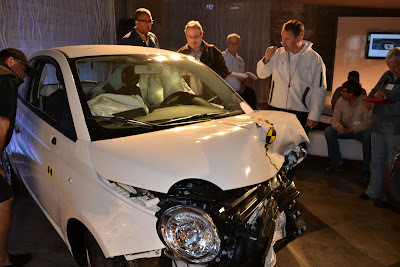 The passenger compartment remained intact. The car had a cracked windshield and the drivers door opens and closes normally. This is the crash test of the European Fiat 500. 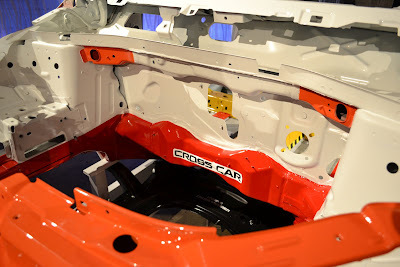 The US version benefits from three years more development and updates to the chassis. 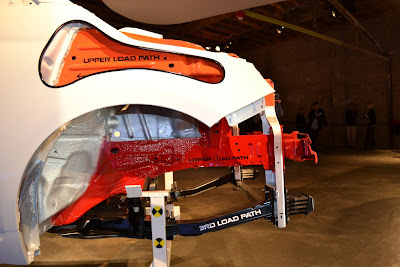 The US car has a third front load path added, along with a significantly stronger body, especially at the rear and on the sides. 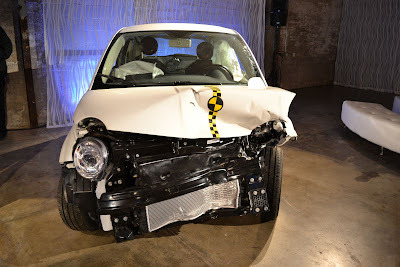 The European Fiat 500 was the first car of its size to achieve a 5 star crash rating. In fact, it would achieve a 6 star crash rating, when and if, that standard is adopted. View the fullsize images here. 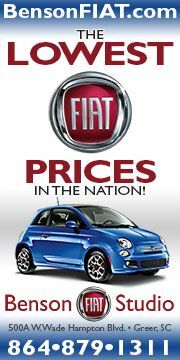 When coming back to the North American market, Fiat knew they had to ensure the highest quality. 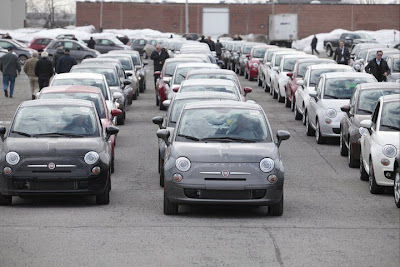 The plant that manufactures the Fiat 500 is one of the most advanced in the world. 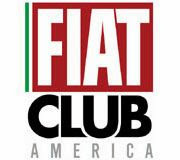 In the film below, we take a tour of the Fiat factory in Toluca, Mexico. 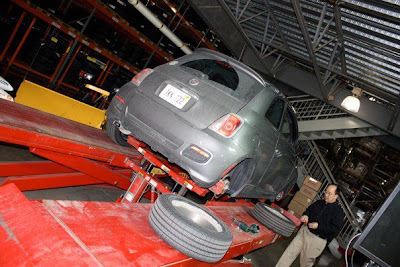 First up, we see the stamping plant where more than $44 million was invested to develop 110 new dies for the Fiat 500. 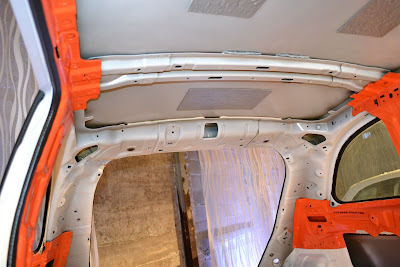 Other highlights shown are the newly installed equipment for the application of urethane to power sunroof and fixed-glass roofs, new torque tooling on the assembly line to avoid any noise or vibration that might be caused by a loose nut or screw, and the “suspension exerciser,” which makes sure the suspension settles properly before the vehicle passes through the wheel alignment process. 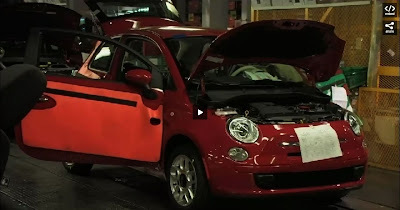 At the end of the film, we see part of the Presigi program, a process adopted from Fiat Group Auto that consists of a 32-mile course designed to simulate customers driving over various road conditions, with the focus of ensuring the dynamic quality of the new Fiat 500. 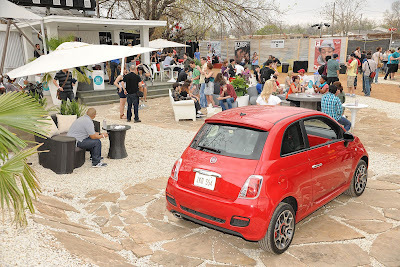 Fiat USA and Fiat of Austin are sponsoring the popular Fader Fort music event that runs from March 16-19, in downtown Austin, Texas. The event features well known and not so known music artist, and is a major event in the music world. "From its first days as a little party with a few bands, to its current iteration as a major live music event bringing brand new artists and household names together on the same stage over several days, the FADER FORT has always been about one thing: the best music on Earth." 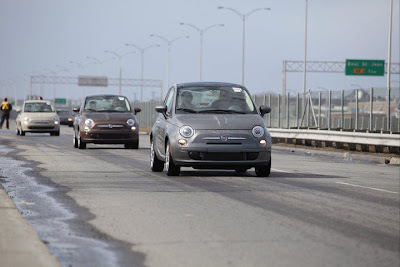 Yesterday, two hundred Fiat 500s paraded through the streets of Quebec to celebrate the arrival of the Fiat 500 in Canada. 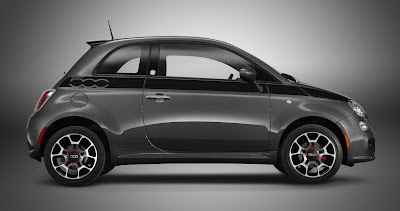 The Fiat 500 has already garnered a lot of attention in Canada, where its European design heritage is well appreciated. 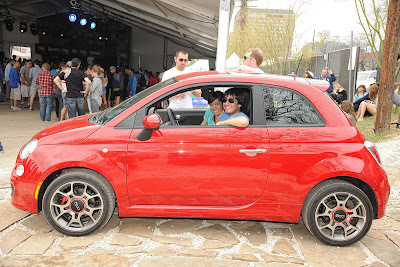 March 18, 2011 , Montreal - Chrysler Canada celebrated the official return of the Fiat brand to Canada as more than 200 Fiat 500 vehicles were paraded from the Quebec Business Centre along the TransCanada Highway to their respective dealerships. 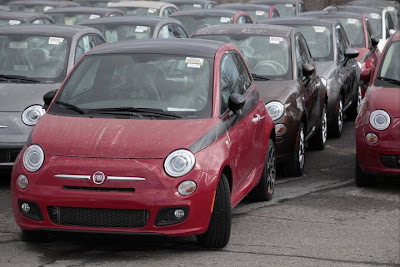 The vehicles have also begun to arrive in designated Fiat studios in select Chrysler Canada dealerships throughout the country. 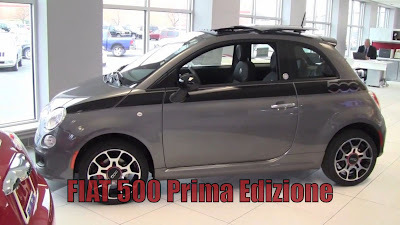 The Fiat 500 Prima Edizione (First Edition) models, which became available to designated Fiat followers through an online reservation on www.fiatcanada.com in November, completely sold out in less than 12 hours. Five hundred of these limited-edition vehicles were offered for sale, each with a unique numbered badge. 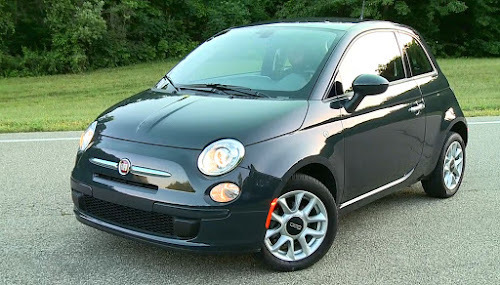 The Fiat 500 is built in Toluca, Mexico. The Fiat 500 comes in three models (Pop, Sport and Lounge) and is available in 14 vivid exterior colours, with 11 unique seat combinations and five wheel choices. The vehicle features the state-of-the-art 1.4-litre MultiAir® engine coupled with a manual five-speed or automatic six-speed transmission. 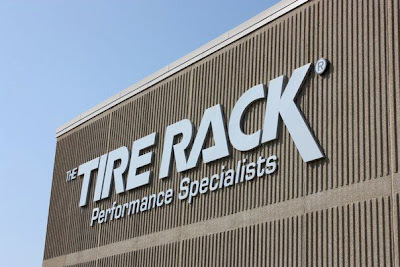 It delivers enhanced power, fuel efficiency (up to 55 mpg) and refinement. 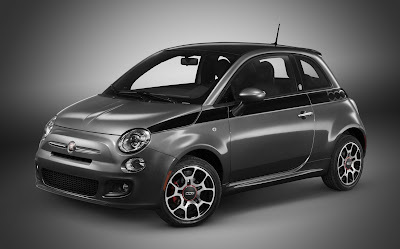 Pricing for the Fiat 500 starts at $15,995. Chrysler had a big presence this year at the Geneva Motor Show. Chrysler and Lancia are merging synergies, and this opens up new possibilities for both car makers. 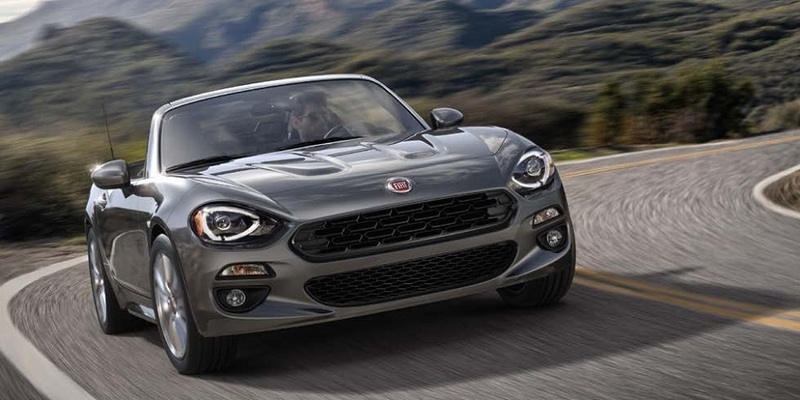 For the US, we'll see Lancia's expertise in building elegant small cars being applied to Chrysler's US portfolio, and in Europe, Lancia will benefit from Chrysler's much broader vehicle range. This means Lancia will be able to offer, for the first time, a full range of automobiles in every major size segment. One of the stars of the Lancia presentation was the new Lancia Thema. 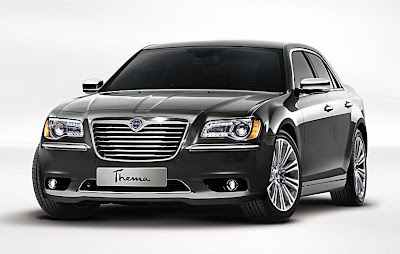 The Thema is based off of the brand new Chrysler 300C and is quite an impressive car. 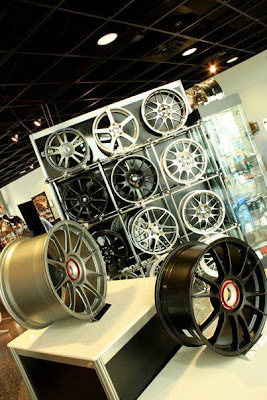 Chrysler invested 1 billion dollars in this new design, targeting quality, technology and performance. It shows. 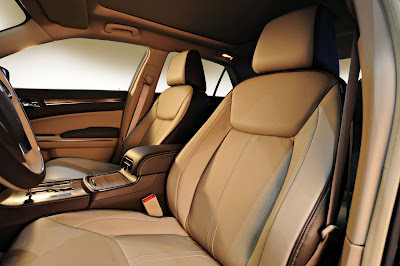 The initial impressions from automotive journalists indicate the Chrysler 300C rivals the Lexus LS460 and BMW 7 series. In January, I had the chance to test the new 300C, and it was a revelation to me. I spend most of my time driving Audi products, and I'll confess: I am a Europhile. I prefer the European driving experience when it comes to driving dynamics. The new Chrysler 300C AWD easily matched the latest from Audi. On top of that, the interior, especially in S Line trim, was fantastic. To say I was surprised is an understatement. I walked away thinking I would be happy owning one - I haven't said that about an American car in decades. I was lucky enough to get to the Geneva Auto Show this year. It is a distinctive show for a number of reasons. For one. it is the first show of the year and usually includes a lot of concepts and new model introductions. 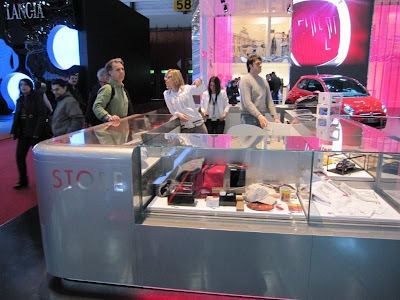 Geneva is geared to the press, so it is less showy than most automobile expositions. The French manufacturers have a big presence but no one can claim Geneva as their home show. Big and small exhibitors are on a more even playing field than most shows where the local boys are front and centre. Switzerland includes some of the wealthiest enthusiasts and some the most environmentally aware consumers in the world , all in one small market. The show reflects this dichotomy with single passenger electric three wheelers displayed not far from 700 horsepower road rockets. The show is very well attended. We were there on the final Sunday and 90,000 people were vying with us for photograph locations.. 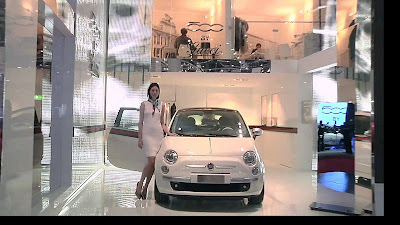 The FIAT Group was very evident. Dodge had a booth with a Hemi Challenger getting a lot of attention. Ferrari and Maserati had a very large display with the Ferrari FF making its debut. Alfa Romeo was showing off the 4C Concept but also had Quadrifoglio Verde versions of their MITO and Giulietta models on display. The Giulietta looks to be a worthy competitor for the Golf and new Focus. Lancia was showing the early signs of the FIAT-Chrysler connection. Amidst their regular Italian line up was a Chrysler 200 convertible called Fulvia and a new 300 badged as a Thema. 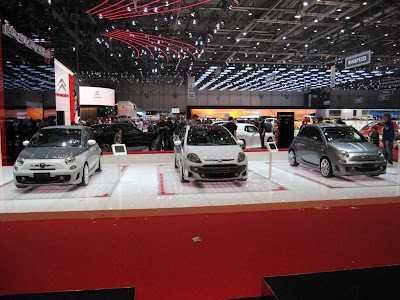 It will be interesting to see if Europeans take to these cars.The Fiat booth started and finished the day with all their young employees dancing to some fun loud music. I can't say I've seen that at any other show. The FIAT presentation showed the Freemont which like the Lancias, is a Chrysler crossover with different badging. The display was dominated by 500s. Gucci had a corner to themselves, and I have to say the Gucci 500 has an interior that looks quite well finished. The Zagato 500 show car was at the front of the booth. 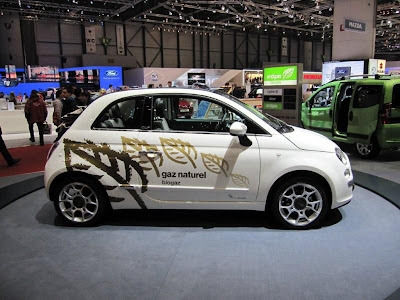 It is very distinctive, but there was no word about production, Still it is good to see that storied Milanese coach builders name on a modern FIAT. All the other 500s were 85 hp TwinAirs including the cabrio. There were a few other FIAT models present, but unfortunately there were no Pandas. I was hoping to see the Multijet diesel with four wheel drive. I read somewhere that it could end up as a mini Jeep on this side of the Atlantic. Jeep was there as well of course. 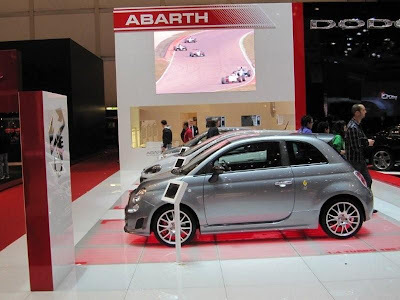 The display where I spent a fair bit of time was Abarth. 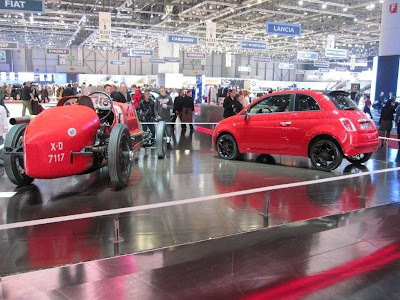 They were in a different hall than FIAT and were neighbors to Alfa Romeo. Abarth had four cars on display: an open wheeled racer, a Punto Esse-esse and two 500s. 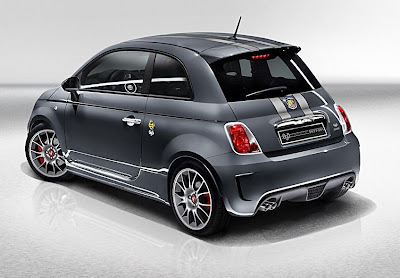 One was the new 500C Abarth with an ESSE-esse conversion, while the other was the 695 Tributo Ferrari. I got to sit in it, and it seems awesome. The proof would be in a drive but at a price in Switzerland equal to $48,000 US dollars I doubt I will get that chance. 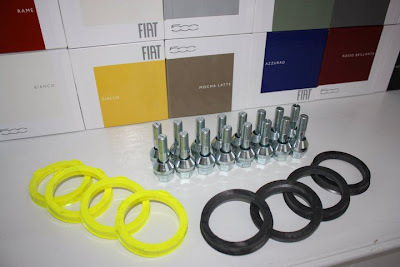 The folks at Abarth asked me to tell whoever I thought might be interested that their website store orders will start in April at abarthstore.com. 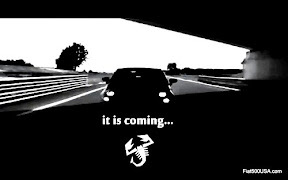 I was really excited about the products from Abarth, and can't wait until we see them here in America. Gucci models are fine. 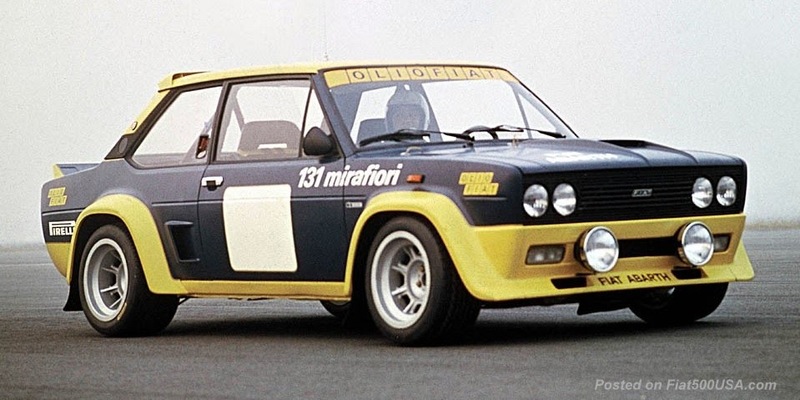 but if the 500 is going to be put up against the MINI in a serious fashion, we need the spirit of Mr.Abarth to take on the spirit of Mr. Cooper. In keeping with the manic nature of the show, not far from the Tributo was a display put on by a natural gas / bio gas firm in Switzerland. They had a TwinAIr 500 converted to run on either regular gasoline or a natural gas/bio gas combination. Bio gas is a methane like gas produced from garbage. In Switzerland biogas is used at a 10% rate with natural gas and is available at fairly numerous filling stations. There were a lot of concept cars and It was great to see Bertone, Pininfarina and Giugiaro (now owned by VW) with displays of their own. There was a time when Torino was the big spring fashion show, but Geneva has taken that spot. 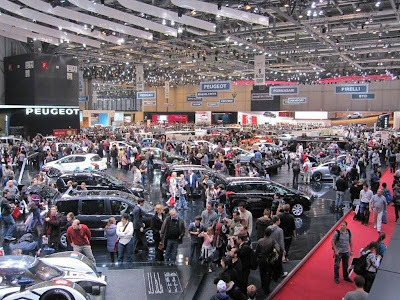 If you are traveling Europe in early March and have a craving for cheese or chocolate (or a new watch) zip over to Geneva for a great car show as well. Thank you Peterjerome for sending us this report. 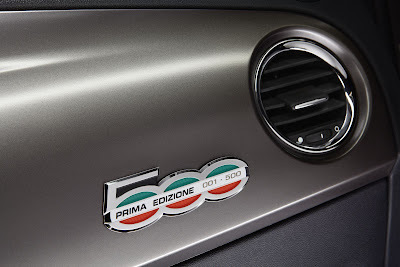 Check out the full size images in the Fiat 500 Prima Edizione in grigio photo gallery.